and save up to $40 per template! 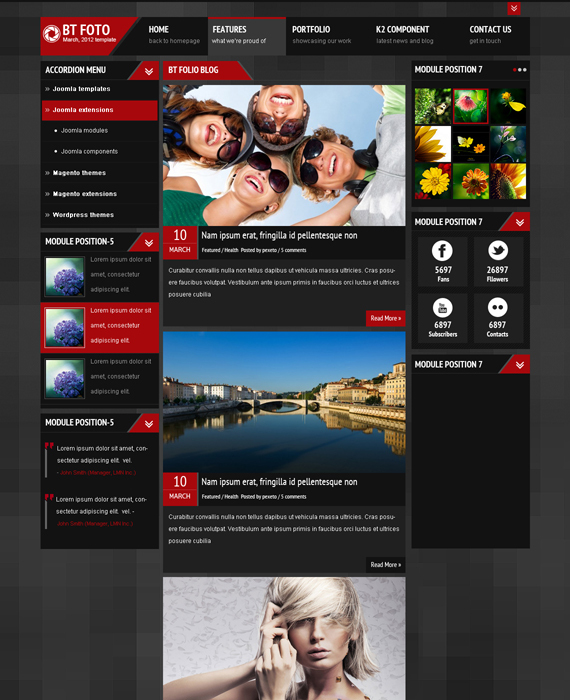 BT Photography is amazing responsive joomla template for photography. It came with six colors and many module positions. 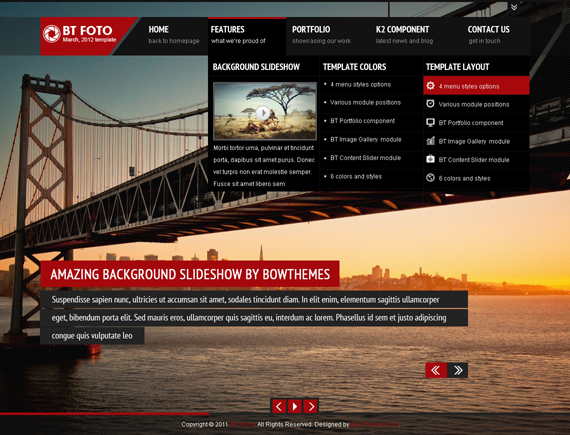 BT Photography helps photographers easily create beautiful portfolio with background slideshow and portfolio component. BT Photography is fully responsive Joomla template and delivers the fascinating design on smartphones, tablets and desktops. The template came with 6 colors including red, blue, green, orange, purple and yellow. Your photography site is so fancy because of beautiful image & video background slideshow with large view and impressive transaction effects. Portfolio presentation is more professional with descriptions, images and others thanks to BT Porfolio Component integration.